I love it when the warmer weather takes over and I can cook outside while the kids play. It makes for such fun and carefree nights with my family. I love to use my barbecue and I try to find any excuse for it, especially since it means a lot less cleanup, and I get to enjoy the weather while I cook instead of being stuck in my kitchen. When summer hits I try to stock up on easy and delicious BBQ recipes. Because you can get in a rut when it comes to outdoor cooking. But this year I won’t let you. I will try to post a summer outdoor recipe every month. This month you have got to check out these sweet and delicious BBQ chicken skewers. Thank you to Cooking Classy for such a fun and delicious BBQ chicken skewers recipe. It can be made quickly and with very little prep. Which is great for the summer since I am usually very busy despite it being a time to lay back and relax. Head on over to Cooking Classy to gt the full recipe and some great ideas for the rest of your week, I promise you won’t be disappointed. I will just be over here enjoying my BBQ chicken and corn. 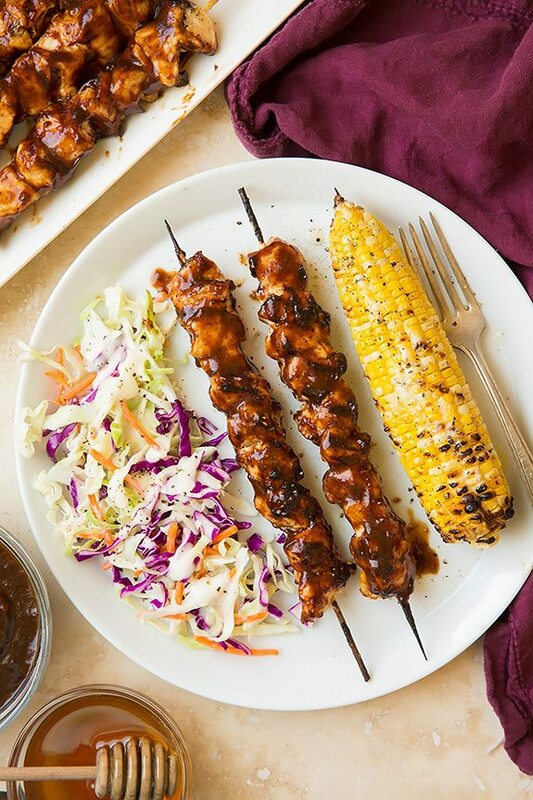 This entry was posted in Food & Recipes and tagged bbq, bbq chicken skewers, cooking classy, easy cleanup meals, food, honey chipotle chicken skewers, outdoor meals, recipes, summer food, summer meals, the boys store on May 13, 2018 by Lacy. My summer garden has been very productive this year. I have tomatoes coming out of my ears! I love tomatoes, and so do my kids. So I try to incorporate them in to a lot of my meals. However, during part of the summer my niece and nephew were visiting and they are not huge fans of tomatoes. So I had to try and use them in a way that would make them still want to eat. They love spaghetti, so I thought of making that and using my tomatoes to make sauce. But it is still so hot here and I hate to be int he kitchen using the stove for so long. So instead I found this amazing summer fresh-tomato spaghetti recipe by Martha Stewart that actually impressed everyone in my house. 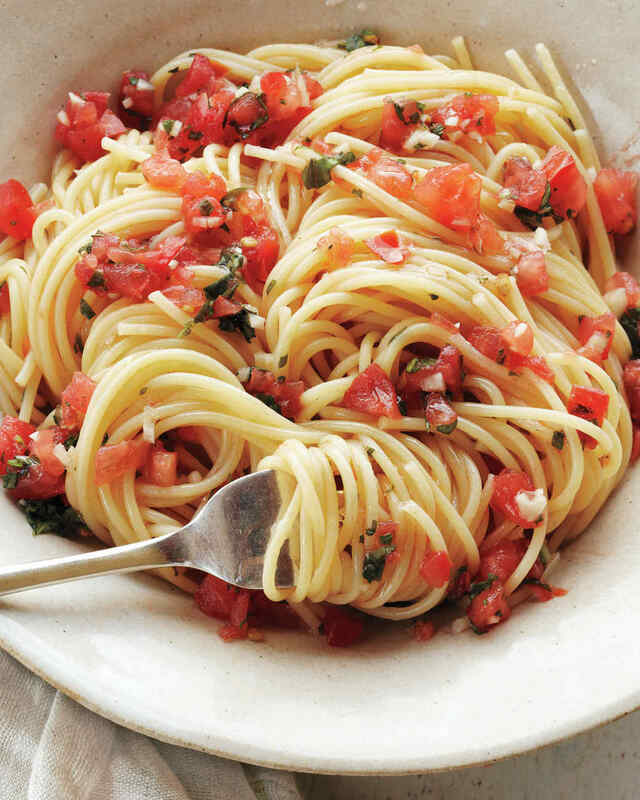 This dish gave that perfect little taste of Italy without the heat of the stove in my kitchen. It was great for a quick meal, and it used up a LOT of my tomatoes. My niece and nephew even sat there and ate their entire bowls. We added some bread to the side and the kids used their bread to pick up what was left of their tomatoes. It was a perfect night. This entry was posted in Food & Recipes and tagged food, fresh meals, fresh spaghetti, martha stewart, meals, recipes, simple meals, Spaghetti, summer meals, the boys store, tomatoes, tomatoes spaghetti on August 13, 2017 by Lacy.